Think big and see what makes every corner of your organization tick. 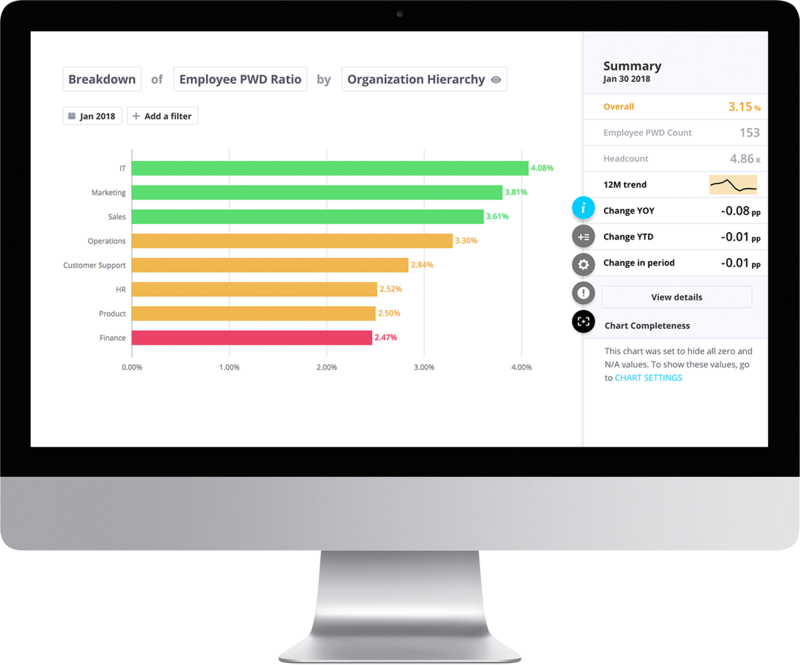 Unify your employee data to see the trends and forces that are shaping your workforce. 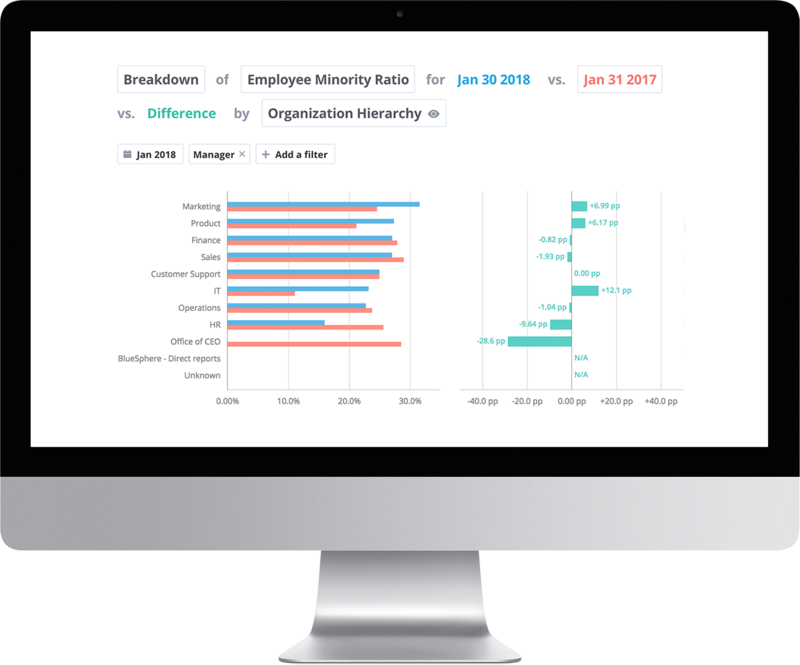 Unearth new insights into workforce composition, diversity and inclusion, and employee turnover. 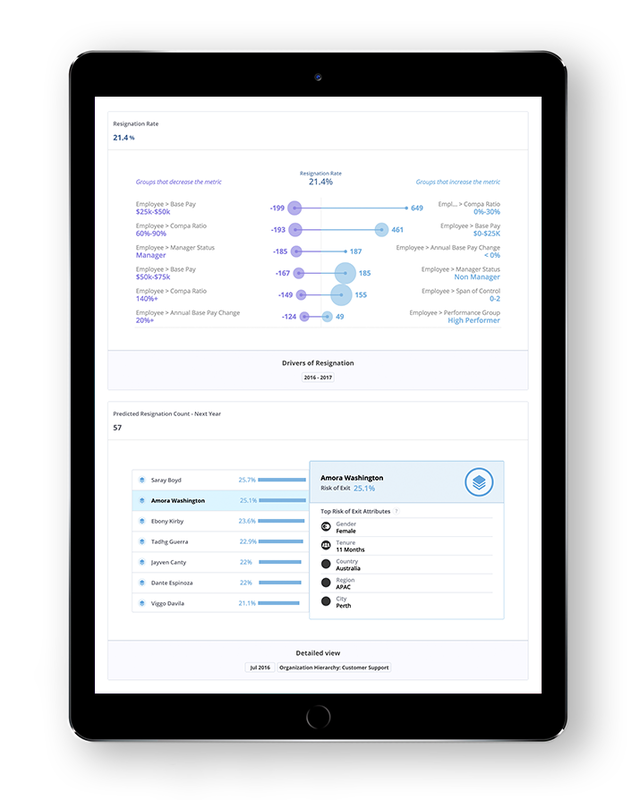 Visier People: Organization provides a fundamental set of metrics and analytics, and acts as the foundation for the rest of the Visier People solution. Take the reins on retention and retirement. Predict which critical employees are most at risk of leaving—and see what workforce factors affect resignations—so you can design targeted retention programs, driving engagement and reducing costs. Plan for workforce changes with accurate projections of resignations and retirements. Keep pace with fast-changing workforce laws. See how changes to employee legislation impact your workforce. Instantly understand how new overtime rules affect your organization. Discover pay equity issues early so you can proactively address them. Explore how you can best respond to legislative trends, such as the move to classify more independent contractors as employees. Discover the keys to building diversity. Unroll the blueprint for workforce diversity and unlock the bottom-line benefits that diverse organizations experience. Measure and grow the diversity of your leadership group. Ensure fair treatment across employee populations for pay, performance, and promotions—and track retention rates by diversity group.